BGI’s freight distribution services will improve your customer service, increase operating efficiency, reduce costs and help you achieve your business goals. BGI strikes the right balance between transportation and warehousing to get your delivery where it needs to go as cost-effectively and as quickly as possible. 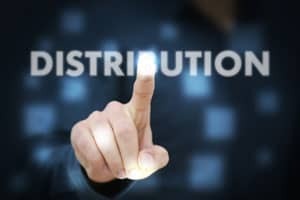 Our team of professionals will work with you to create a distribution plan that meets your needs. By coordinating all of these services with one provider, you save time and money. Imagine your product needs to be delivered to 300 retail locations around the U.S. BGI’s distribution services begin when your air, truck, rail or ocean freight arrive in any port or airport within the U.S. Your products are transported to a BGI warehouse where they are unloaded, inspected and labeled with the product, color, style, purchase order number and other specific information. The contents are segregated per your specific needs and requirements and delivered to the customer’s door per your instruction and timeframe. The product never goes to your facility and is delivered quickly to customers.